Often times, my followers here request me to post my latest book reviews. So, here’s one from last month. Karen at “My Train of Thoughts on…” blog site reviewed The Dazzling Darkness. Karen is a member of Rosie’s Book Review Team. Her 5 stars is a great compliment! If you are looking for a good book review site, you might want to add My Train of Thoughts on … to your bookmarks. Long, long ago when the land was young there stood a very tall and proud Douglas fir tree. The fir tree was so tall that its topmost branches touched the clouds. The branches spread widely and offered protection to small plants and animals below. 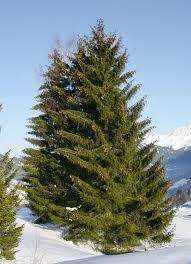 The fir tree held many cones on the ends of its branches which stood open and contained many seeds. A little mouse lived in the protection of the tree’s spreading branches. The little mouse climbed onto the tree’s branches and found just as the tree had said. The little mouse feasted well on the Douglas fir seeds. 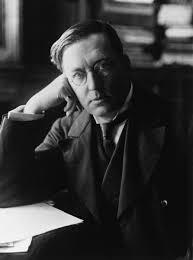 He grew fat and healthy on the generosity of the fir tree. The other little mice looked at him and asked, “Why are you so fat and healthy while the rest of us are thin and cold?” The little mouse dared not tell the other mice where he was finding the lovely seeds. He was afraid that the other mice would come and eat all that the Douglas fir had to offer. He waited until the other mice were sleeping before he snuck away to climb and eat. But not all were asleep and one mouse saw where the little mouse had gone. 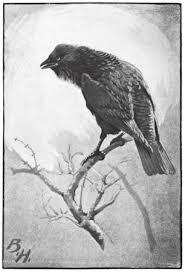 He watched the little mouse eating seeds from the Douglas fir and he woke all the other mice. He told them what he had seen. 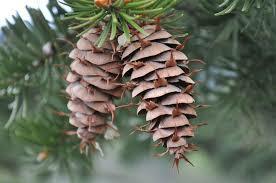 All the others mice ran for the fir tree and climbed up to the cones. They climbed inside the open cones to get to the plentiful seed. This invasion angered the Douglas fir. 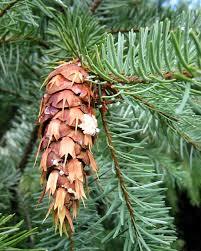 The fir snapped shut all its cones, trapping the little mice inside. 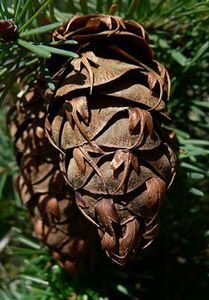 To this day when you look at a Douglas fir cone you can see the little back legs and tails of the mice sticking out of the cones where they are trapped. Thank you all for following my blog. I am especially grateful to so many of you who have purchased The Dazzling Darkness and Night Sea Journey. And for all the comments and reactions to my short story Beyond Castle Frankenstein in Journals of Horror: Found Fiction. I am hoping to have my third novel out in 2015 and several new short stories. 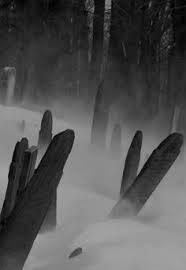 Please continue to stop by Reading Fiction, Tales of Terror. Shadows, cobwebs, spiders. If ghosts have any presence in our world, these images will conjure up a few shivers. 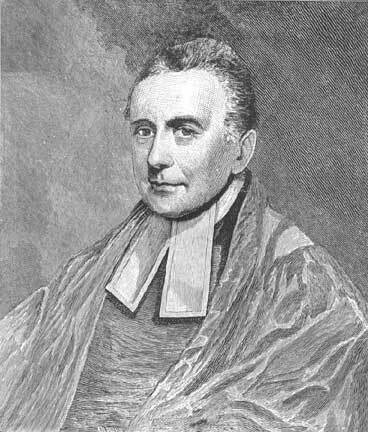 Every Christmas Monty James, as his fans know him (Montague Rhodes James), presented a new ghost story for the holiday at King’s College in Cambridge. James is probably the master of craft when it comes to ghost stories. 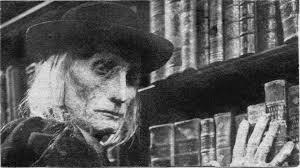 He beguiled his readers with his scholarly expertise of medieval manuscripts and his clear understanding of fear. 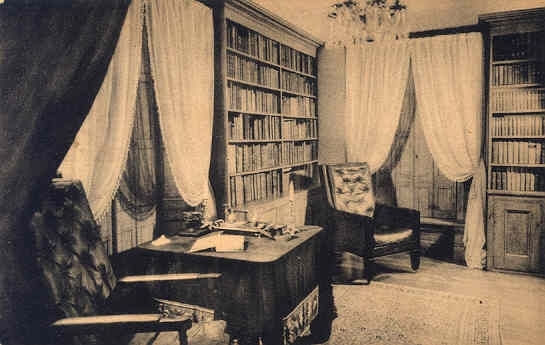 Antiquarian libraries are always mysterious and this story opens with Mr. John Eldred—who wears Piccadilly whiskers—inquiring in a library for a book titled The Tractate Middoth (The Talumud). 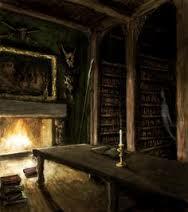 Our main character is Mr. Garrett, an assistant librarian, who attempts to locate this book for Eldred. Garrett is a book lover and in his search for this book labeled 11334 (note the number) he encounters a frightening experience. So frightening that it causes him to become ill. But that doesn’t stop Garrett. 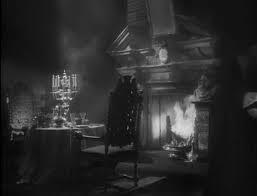 A death, a will, a puzzle, family greed, a ghost, and a little romance for Mr. Garrett, this tale is perfect for a Christmas ghost story. 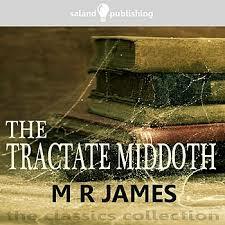 Read The Tractate Middoth it at Ebooks.Agelaide.edu. 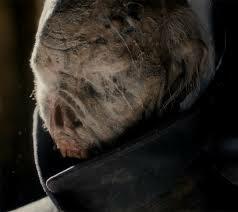 Watch the BBC adaptation of The Tractate Middoth on Youtube, produced by Mark Gatiss. This 36-minute film is well done! 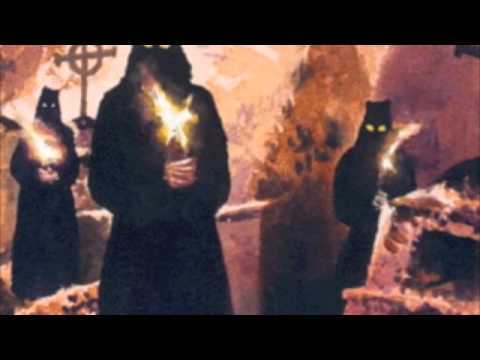 Listen to A Podcast to the Curious, 2-hour discussion (with excerpts) of The Tractate Middoth (scroll down to stream button). Do you like 100-Word Flash Fiction? Some of you may remember that I entered a 100-word short story competition for horror at Horror Novel Reviews. While my story did make the top ten finalists, it did not win. As I am always happy to connect readers to new contemporary talent, I am pleased to present to you the winner, Ross Baxter’s Body Art. Congratulations to Ross! 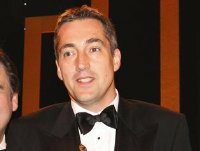 If you are interested in reading more of Ross Baxter’s short fiction, you can visit his web site at http://rossbaxter.wordpress.com/ . Ross’ work has been published by a number of publishing houses in the US and the UK such as Bonté Review, Romantic Ruckus Anthology, Cover of Darkness magazine, and others. AND … just in case you missed my 100-word shortie published with the ten finalists on Horror Novel Reviews, here it is again. The black falcon flew the Dusha River. He pecked her eyes, releasing glittering harmonies. Julietta breathed in the triumphant notes, grew dizzy, splashing into the river like a coin. Varlok soared the stars, consuming her lustful soul like a tasty fish. I would love to hear comments! Please don’t be shy. 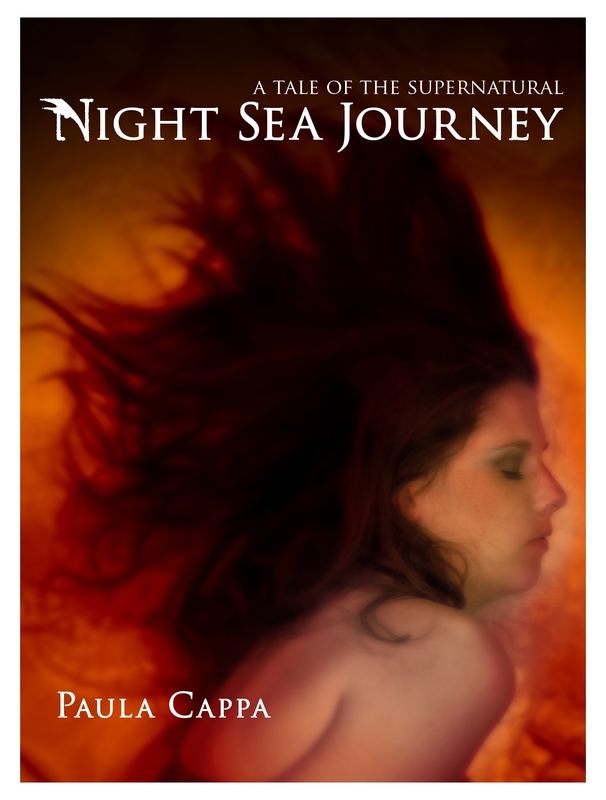 “Reading Paula Cappa’s metaphysical mythological fantasy, Night Sea Journey: A Tale of the Supernatural, was a profound, vibrant and intensely moving experience for me. I was, quite literally, caught up in the spell Cappa weaves as her characters navigate their ways through mysteries and dreams manifested in the real world. Raymond, Garcia and the artist Kip Livingston are marvelous characters, especially Livingston whose world is recorded in her paintings; the paints she will use in her works instantly determined as she faces the horrors and turbulent landscapes of her dream-states. Cappa masterfully evokes the wild and natural world where the exiled Raymond finds himself — you can see the waves breaking over the rocky shoreline, smell the salty, humid sea air and hear the cranes and shorebirds as they fly in formation overhead. Night Sea Journey is lovely, atmospheric and, oh, so very, very good. It’s most highly recommended. Wow…so marvelous. A monumental achievement. Brava!